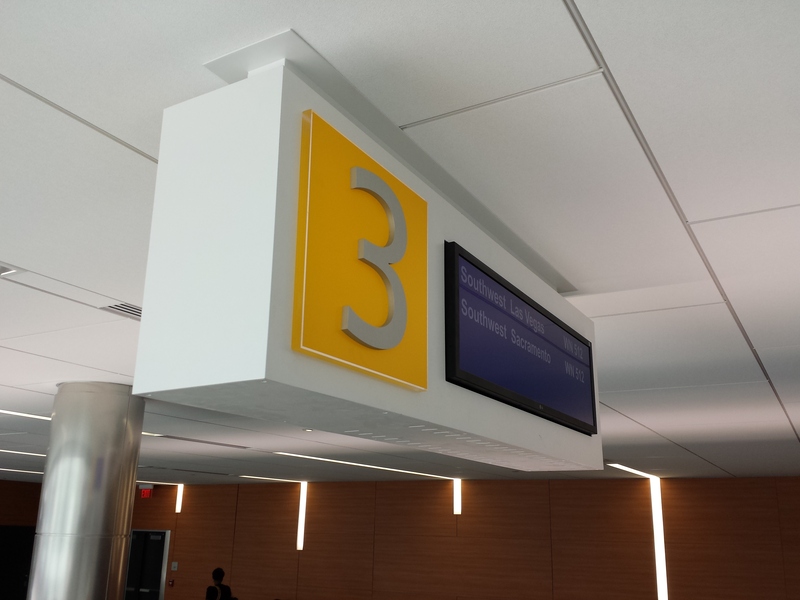 Sign Effectz, Inc. built a complete sign package as part of General Mitchell International Airport’s (GMIA) effort to upgrade to a cleaner, more efficient facility. 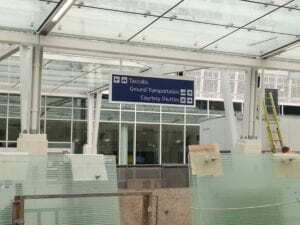 The package included five different types of non-lit interior ADA Signs, four types of Interior Illuminated signs, five types of Exterior Illuminated Signs and six different Regulatory Signs (such as stop signs and pedestrian crossing signs). 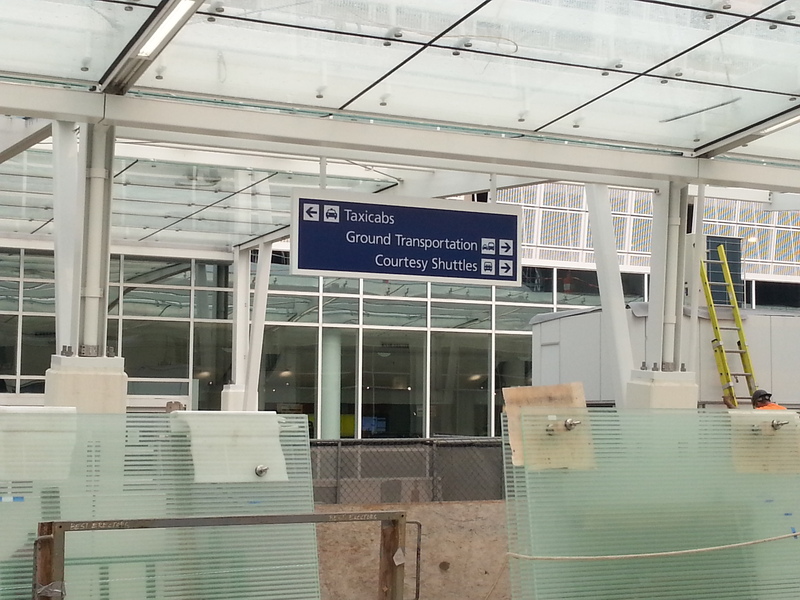 The package included a number of way-finding signs. Quantities varied greatly. 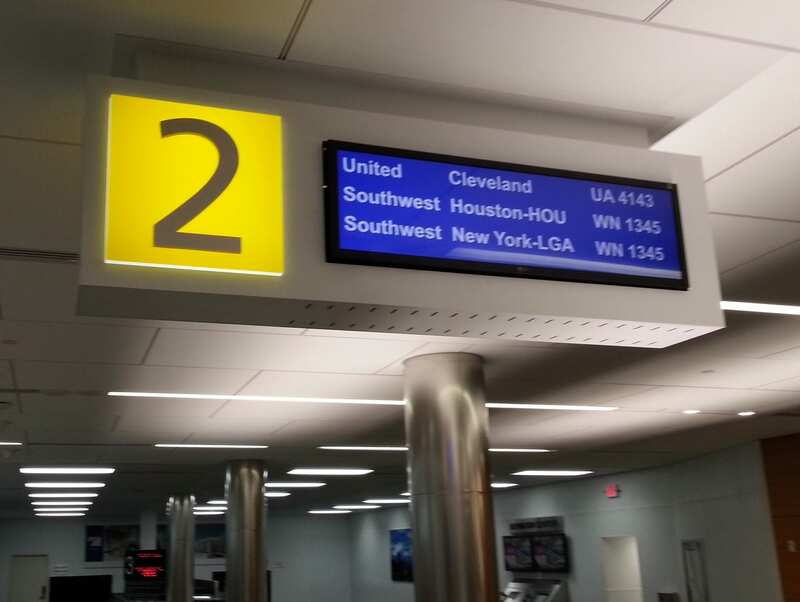 For example: we fabricated 18 overhead directional signs for the baggage claim area including 5 baggage return carousel signs (one per carousel). 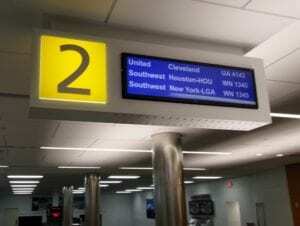 The sign features the carousel number and incorporates a television monitor that identifies the flights of the baggage on the carousel. We didn’t supply the monitor but built to specs that called for it. 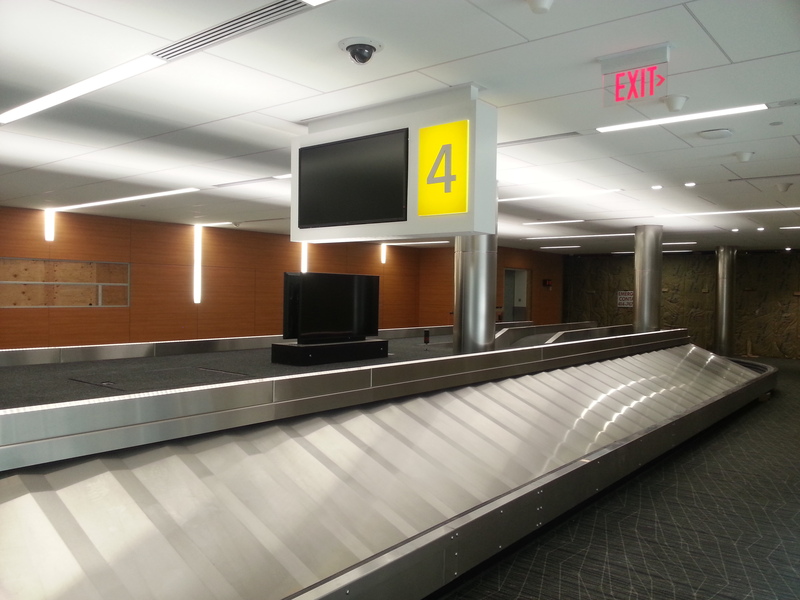 Each baggage carousel has its own entrance with new signage that identifies the carousel number and the airlines served by that particular carousel. 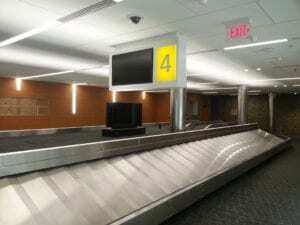 This is important to the facility upgrade because in the past, the baggage claim area lacked precision in how its entrances were identified, which could lead to confusion. 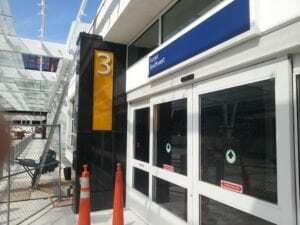 There is now consistency between carousel and doorway, making it easier for passengers being picked up to communicate to their driver their exact location. We fabricated the light box that fit into the granite cabinet supplied by the general contractor. It consists of an LED light system covered by yellow polycarbonate.